(VEN) - The EU-Vietnam Free Trade Agreement (EVFTA) is expected to bring Vietnam big trade and investment opportunities from the EU. 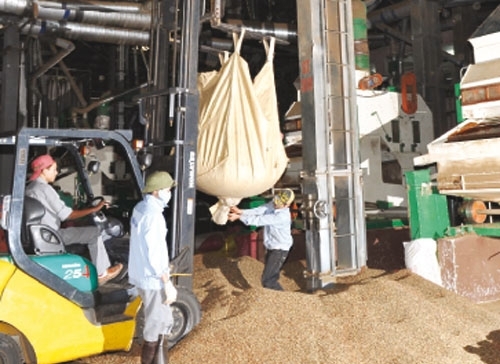 To reap sweet fruits of the FTA, however, Vietnamese businesses need to overcome numerous challenges. With negotiations wrapped up in late 2015, the EVFTA is expected to be signed next year and take effect in 2018. This is a new-generation FTA between Vietnam and 28 EU member countries, with the largest scope and highest level of commitments involving Vietnam so far. As committed in the EVFTA, the EU will eliminate 86.6 percent of tariff lines equivalent to 70.3 percent of Vietnamese exports to the EU as soon as the agreement takes effect. Within the first seven years of the EVFTA’s validity, the EU will remove 99.2 percent of tariff lines equivalent to 99.7 percent of Vietnamese exports to the EU, while the remainder, 0.3 percent, will be subject to tariff quotas with an import tax rate of zero percent. On its side, Vietnam pledged to eliminate 65 percent of tariff lines for the EU’s exports to Vietnam as soon as the EVFTA takes effect. Within the first 10 years of the agreement’s validity, over 99 percent of tariff lines for the EU’s exports to Vietnam will be removed, while the remainder will be subject to tariff quotas with a zero-percent tax rate. 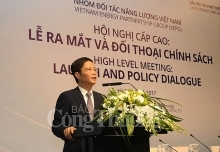 Deputy Minister of Industry and Trade Cao Quoc Hung believed the EVFTA would bring Vietnam opportunities to boost trade and investment with the EU in the coming period. 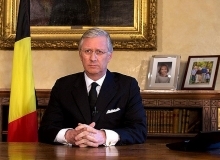 Head of the EU Delegation to Vietnam Bruno Angelet said that the EVFTA would connect the open and rapidly developing Vietnamese economy to the most dynamic economies worldwide, creating big opportunities for Vietnam to promote trade and investment with EU countries. In terms of trade, the EVFTA is expected to offer Vietnam free access to the EU market with about 500 million consumers and per-capita gross domestic product of €27,000. The EU currently is the world’s largest importer of goods and services, accounting for 20 percent of global trade, with 50 percent of its imports coming from developing countries. The EU also is the world’s largest importer of agricultural products. 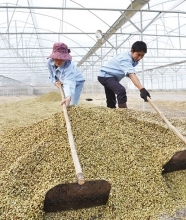 This promises Vietnam big export opportunities as it is a developing country with great potential in agriculture. In terms of investment, the EVFTA is believed to create opportunities for Vietnam to attract foreign direct investment (FDI) from 28 EU countries which have dynamic industries and take the lead in infrastructure construction technology. FDI from these countries will help emerging economies like Vietnam enter a new development stage, offering a shortcut to higher labor productivity and better quality of products and services. Apart from opportunities, the EU expected the EVFTA would bring Vietnam big challenges. The EU is a market where competition is fierce, with strict requirements for products and services, especially in terms of food safety. Meanwhile, Vietnam is a developing country with most of domestic businesses being small in size and yet to pay adequate attention to service quality and food safety. 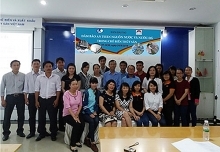 Moreover, Vietnamese support industries remain underdeveloped, while EU countries apply strict rules of origin to identify eligible products to be offered preferential access to the EU market. It means that the Vietnamese government and businesses need to pay special attention to developing support industries in order to take advantage of preferences from the EVFTA. Chapter 15 of the EVFTA refers to trade, sustainable development, labor, and related environmental issues. Accordingly, doing business with European partners requires domestic companies to show their social responsibility. Addressing the Vietnam Development Forum 2016, a representative of the EU said that if Vietnamese manufacturers and suppliers overcome initial difficulties to be present in the EU market, they will be able to access most other hard-to-please markets worldwide. Their efforts to expand production will bring domestic consumers the opportunity to buy higher quality products and contribute to enhancing the competitiveness of the entire economy. This is why the EU representative believes Vietnamese businesses could benefit from such a hard-to-access market.